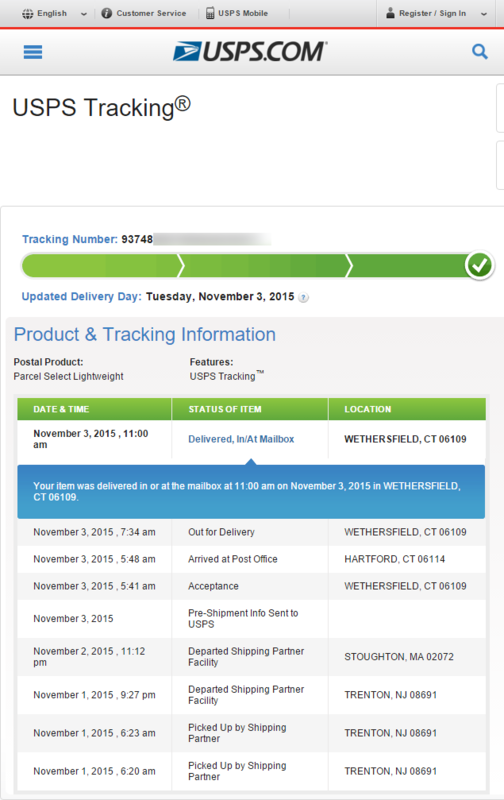 Nov 03 2015 12:00pm EST - After a few days of delay, my qty of the 512GB version just arrived from Amazon via USPS, details below. You may remember the announcement article last month that explains why this long-awaited drive is so widely anticipated. 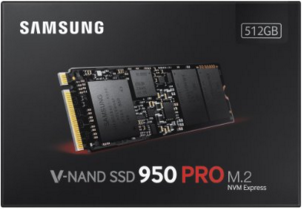 No more hunting for the OEM-only Samsung SM951 NVMe edition. I returned my recently tested SM951 AHCI version. This Samsung 950 PRO M.2 is expected to be faster, enjoy wide distribution and popularity, and is the final missing piece in my home lab storage strategy. Click to place your order on Amazon. 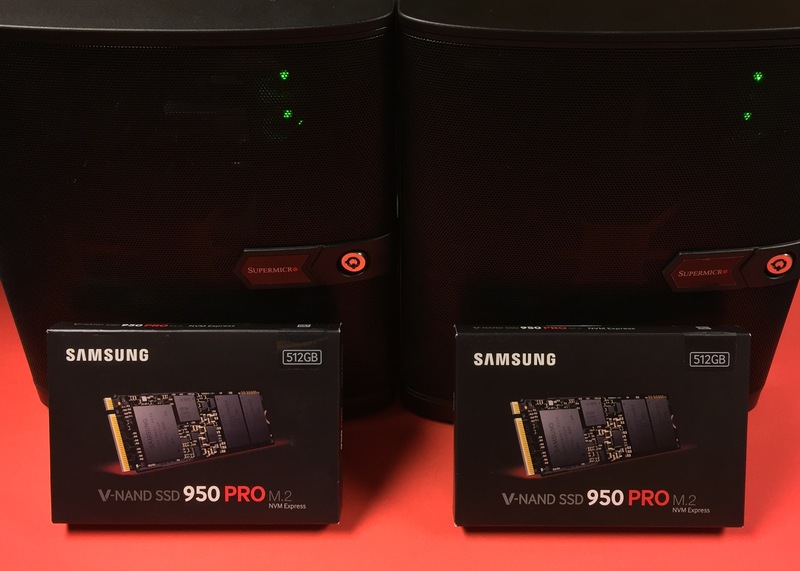 As of today, it's available for pre-order at Amazon and Newegg, in either the 256GB and 512GB sizes. Note, the 512GB size is considerably faster, seen here. Strangely, it was also available for pre-order for about 15 minutes back on October 19th, only to have Amazon link removed. Today, the wait to order is over! Expected to ship from Amazon on October 29th, with mine expected to arrive on October 30th. Newegg is currently showing a release date of Dec 01 2015. 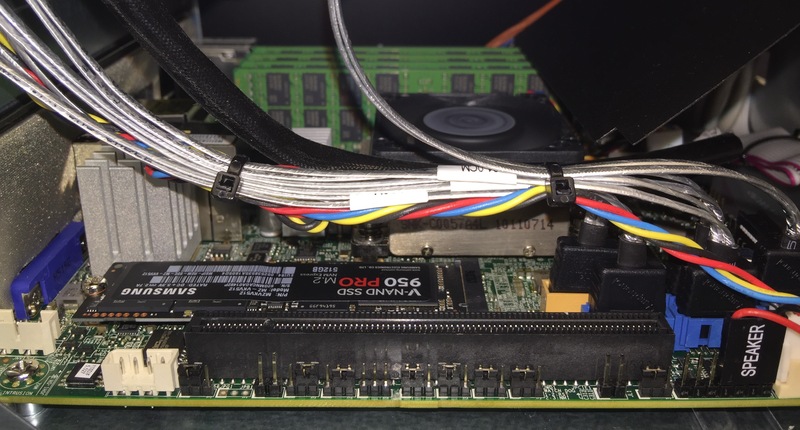 If you have a motherboard that doesn't have M.2, then your BIOS can't support booting from M.2. But what if you don't care about bootability? If you have a spare PCIe slot, then this $27 adapter https://www.amazon.com/dp/B00MYCQP38?tag=tinkertryamzn-20(which I haven't yet tested) fixes that problem, allowing you incredible speeds at reasonable prices for your secondary storage needs. Such as your VMware and Hyper-V VMs. Don't miss the PC Perspective full review with Allyn's amazing charts, and their video embedded below. Of course, TinkerTry will be testing this very promising little speed demon with VMware vSphere 6.0 / ESXi 6.0 Update 1 on my SuperServer. NVMe driver support should be interesting, given what I recently learned about the speeds of the hypervisor's built-in NVMe driver here. Stay tuned. It should be a Happy Halloween, with tricks, treats, and more tweets. Amazon alerted me today that my arrival date has been revised to Nov 03, and I've heard Nov 04 from other folks who ordered slightly later. This picture kind of says it all. The email alert arrived at 12:33am eastern time. Newegg now says "Release Date: 11/03/2015". Unboxing and installation into Supermicro SuperServer SYS-5028D-TN4T planned for tonight, hopefully will be able to publish a video to go with it soon. Also great timing that I got 10GbE working under VMware ESXi 6.0.1a yesterday! Recorded the unboxing and install very late last night, now available for you to enjoy! Nifty thermal video, curious what speeds I'll be getting. FYI, I returned my SM951 drives.